On Thursday 27 March I’m going to be sleeping rough to raise money for local charities that support the homeless and vulnerable here in Cardiff. I know times are hard, but imagine having to sleep outside during the really REALLY bad weather that we had earlier this year. I only have to do it for one night, and I’m absolutely bricking it. Imagine having to do it every night – whatever the weather is doing. Pretty terrible, hey. In case you and I haven’t met before, this is me. I’m frequently found running around under bypasses waving brightly coloured balls in the air. Ooer. So, how did I get involved … occasionally I’ll write about someone who I’ll refer to as a ‘friend of We Are Cardiff’. These are typically people who have written for the blog, and volunteered to help out in some other way, possibly donating money or time or body parts to help out in times of need on the blog. I was sort of kidding about the body parts, but some of these people are the most generous you’ll ever meet. One of those is the guy who kicked off this website, in terms of being the first person who wrote a story for it. 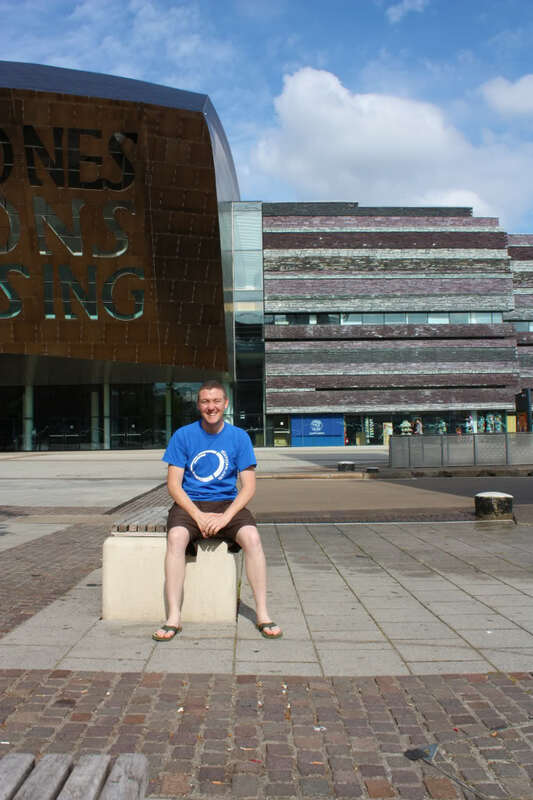 Anyway, a few weeks back Neil posted on Facebook about taking part in something called the CEO Sleep Out Cardiff, where local business people and founders of organisations are sleeping rough to raise money for three local charities who help homeless and vulnerable individuals. Neil is a bit of an inspiration. He’s one of those “run marathons, run my own business, donate money to charities, volunteer for everything and still have time to go out and enjoy life” people, as you’ll probably gather from his We Are Cardiff entry. I won’t go into everything that Neil does, because, quite frankly, this blog post is meant to be about me rather than him (though you should definitely go to Neil Cocker’s website and read all about him there). So it’s not surprising at all that he’s volunteered for this, nor that he’s already raised nearly £300 probably by doing absolutely nothing other than signing up. If you’d rather sponsor Neil I won’t take it personally – the important thing is that the charities get your monies, after all. In fact, I sponsored him! Visit Neil’s fundraising page. Reblogged this on Cardiff Recommended Businesses – Cardiff Business Directory & Cardiff Business News Blog for Cardiff News including Cardiff Events.